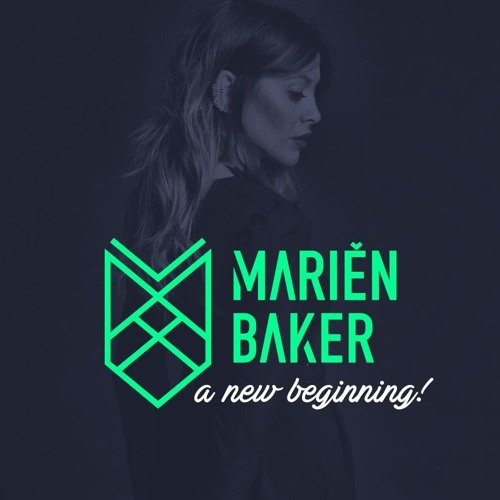 Ever since Marien Baker won a national DJ contest in her home country Spain, obtaining an international record deal with the record label Parlophone Records, owned by EMI Music by then (which is now a part of Warner Music Group), she hasn’t stopped accumulating success after success. The Valencia-born has proven that her talent has no limits, traveling all over the globe and gaining new fans in every foreign club she has performed at. The renowned DJ and producer was none other than the first woman DJ from Spain to enter the UK Dance Chart. Marien Baker’s DJ set is an exciting “dancefloor-filler”, perfect to be heard during the peak time of the night. A set that easily extends a bridge between music lovers in general and clubbers around the world. House beats building up an atmosphere that lifts you up to glory. Intense and empowering, Marien emphasizes the attractive and blunt Tech elements and melodies in a stylish technique and energetic attitude that conquer from the moment she gets on the DJ booth. Her sound has made club-goers dance in spots like Space Ibiza, where she became one of the resident DJs of the weekly party Café Olé by Space Ibiza; Pacha clubs worldwide, also being an official Pacha Agency and Pacha Ibiza World Tour artist; Stadium Club in Jakarta, Piramide in Vienna, Guaba Beach in Cyprus, Ermitage in Kazan, Opium Barcelona or Ministry of Sound in London. In the last years, Marien has performed in France, Ukraine, Portugal, Indonesia, Italy, UK, Russia, Bulgaria, Switzerland, Egypt, Kosovo, US, Morocco, Cyprus, Turkey, Albania, Croatia, Angola, Brazil, Belgium, Slovenia, Czech Republic, UAE, Qatar, Oman, Dominican Republic, South Korea, Kazakhstan and Guatemala amongst other places and she has released EP’s via No Preset Records and Techaway Records, to later on become the new Label Manager of Lemon-Aid Music, a record label owned by the prestigious tech-house artist Dennis Cruz. 2018 kicked off for Marien with an enormous push thanks to her first solo EP called ‘Rock Star’ that immediately climbed on Beatport to the Top 100 Tech House Chart. In April of the same year she released her second one: ‘The Gift’ on Lemon-Aid Music, this time hitting the Top 100 Minimal / Deep Tech Chart on Beatport. She has been a frequent guest artist at Medusa Beach Club, sharing the stage with Fatima Hajji, Cristian Varela, Los Suruba, Wally Lopez and Karretero, and her latest EP ‘Ayahuasca’ released under the Mexican Habitat Label, has been supported by names like Neverdogs, Nicole Moudaber, Stefano Noferini or wAFF, amongst others. Her fourth solo EP called ‘Be The Answer’ has just been released via the Italian label Killertraxx Muzzi K, house of artists as renowned as David Morales, Luca M, Roland Clark, Cassimm or The Deepshakerz, and this summer she will release a brand new single called ‘Black Cat’ on Clarisse Records, label owned by Mendo.